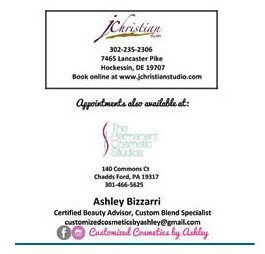 Makeup Made In The USA Mixed For You In Hockessin! A good foundation can make you look years younger, so why doesn’t every woman wear foundation? Most women I ask say they don’t like the way it looks, feels or both. A good foundation should be invisible, look like your skin, feel weightless, and it should be good for your skin, you are putting it on your face after all! First of all the only way to get the absolute best foundation for you is to have one created just for you. Second, know when your products are expired. Most of the big name brands have expiration dates on their crates, not on individual products and there is absolutely no regulation on this! Lastly, know what is in your cosmetics and what is not in them. Products like talc and bismuth oxychloride are “natural” ingredients found in most mass branded cosmetics and are known to irritate skin and even cause serious illness according to the FDA. 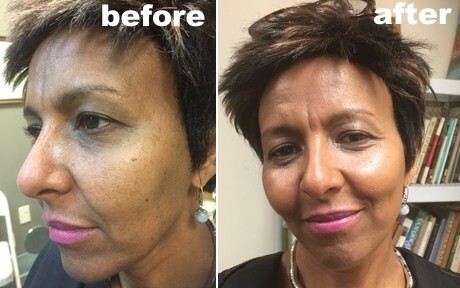 “I am very particular when it comes to my makeup especially foundations, and your customized foundation turned out to be the best I have ever used. It looks and feels very natural and stays on all day without having to reapply! Customized Cosmetics by Ashley are created and mixed for you so your product is fresh and uniquely yours and can be tweaked until it is absolutely perfect!